Now is time for the next phase of life and what could transpire over the next couple of lunar cycles could feel a lot more ‘normal’, for lack of a better phrase. Perhaps there may have been times when we would have been super uninterested in entering a normal phase of the year but for many who are potentially over the amount of disorientation they’ve experienced this year already, this might be welcomed with open arms. This time, there will be no Jupiter-Neptune square or Mercury retrograde conjunct Neptune to deal with. I often hear people tell me how they are not a fan of Neptune transits and it’s usually because they don’t fully understand all sides of what’s happening to them or when it’s going to end, during the transit. With the Jupiter-Neptune square happening again in June and then September this year, let’s make the most of the times we have this year that we don’t have an abundance (or an over-abundance) of Neptune’s energies to deal with. Uranus opposes our Full Moon on the 19th, so we could have some shocks or some pleasant surprises heading our way. 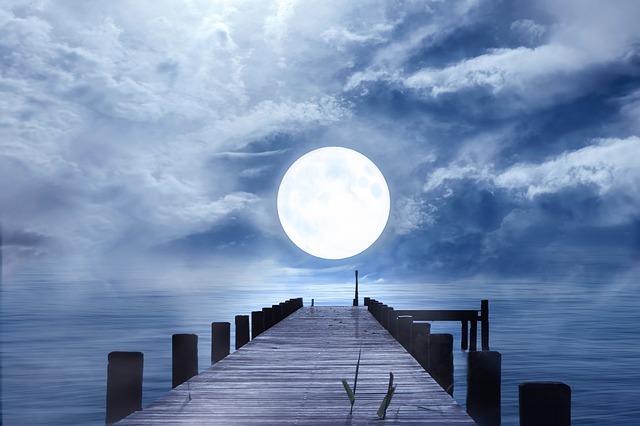 Whatever it is, one of the key natures of Uranus is to bring something unexpected and sudden, so expect just that during the Full Moon, give or take a week. What this may bring you exactly may very much depend on how Uranus is already playing in your natal chart and whether any important zodiacal points in your birth chart line up with any of the prominent zodiacal points in the chart of the Full Moon. Then, when you look at the position of these in your natal chart you can then delineate which area of your life Uranus is likely to be manifest. If you would like your own personal Full Moon reading in time for the next Full Moon, so you can see where all the planets and points could be activated in your life, you can email me from my contact page to book but you must do this at least two weeks in advance of the Full Moon. Another notable point to make is that Mercury is moving fast now and will have moved forward to conjoin with Chiron in Aries at the time of the Full Moon. Chiron in Aries’ archetype is the typical wounded healer in the form of a warrior or an activist. Mercury governing communication, connections and mental activity conjoining Chiron may therefore be indicative of some progress within aspects of our lives that are deeply sensitive and in need if a fix and this progress might come along in the form of links and connections being made with possible thoughts being shared or debates being had. Mars is in Gemini, in mutual reception with Mercury so this further supports forward movement through connections and speech. With Uranus in such a strong position, perhaps this is where many of us will be able to see changes through inventive or new approaches to old problems. You can also go back to picturing what your intentions were at the time of the New Moon this month on 5th April to get a feel for what this Full Moon could bring for you. Jupiter is in a good position again this Full Moon, if retrograde, because he is in a trine aspect to the Sun with a sextile to the Moon, so let’s hope we see some positive changes. To subscribe for my Full Moon article, ‘The Post’ via email every month, just in time for the Full Moon, you can do this here.